B.Tech in CIVIL ENGINEERING is a four years full time graduate degree program, comprising two semester each year. The program is approved by AICTE and affiliated to Dr. A.P.J. Abdul Kalam Technical University, Uttar Pradesh, Lucknow. The department strives to impart quality education keeping in view the Global scenario and social obligation. The department strives for continuous improvement in quality if education through curriculum development and up gradation of laboratories. 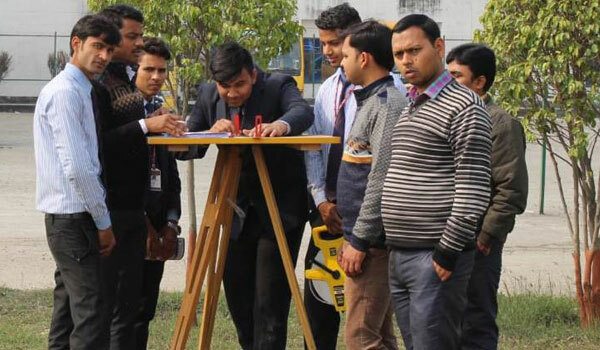 The department can boast of very well equipped CAD, Structural Detailing, Geotechnical, Hydraulics and Theory of Machines Laboratories The department also has a well-equipped workshop that caters to the need of the entire college. Faculty, many with post graduate qualifications and some with industry experience ensure the right mix of theoretical and practical knowledge to the students. An interactive relationship is maintained between the students and staff, which enable the students to develop a sound foundation, which is an essential trait of a good civil engineer. The structure of the courses keeps changing; therefore the students should refer to Dr. A.P.J. Abdul Kalam Technical University website ( www.aktu.ac.in) for latest updates.